Josh says nasty things about Todd to make himself look good with Emma. Todd overhears. Emma tells Josh off and reminds him about all that Todd's been through lately. She insists he goes to make it up with Todd. Harold is enthusiastically poring over a map of Australia. MADGE: What you're suggesting is that we throw away our lives here in Ramsay Street and go gallivanting around Australia in a camper-van! Have you lost your mind? Harold insists that everything can be overcome - the Coffee Shop, the council, everything. Also he's been putting away profits from the Coffee Shop for about a year, so they do have some savings. Madge starts to come round, but she's still not sure about Harold's recovery. HAROLD: Oh, Madge, you can make up excuses until the cows come home, but it just comes down to one question. 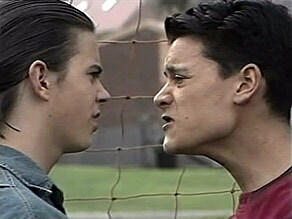 Josh is trying to apologise to Todd, but Todd is very angry and accuses Josh of stabbing him in the back. He tells Josh not to do him any favours in keeping him on the soccer team. Paul and Lucy have come in and are discussing Lucy's modelling career. 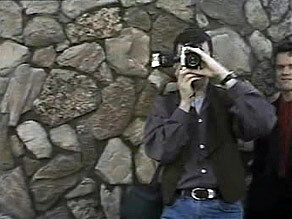 Apparently a photographer wants her to do a shoot - at Lassiter's. Jim comes in and isn't pleased to hear about the modelling - but Lucy says it's on a Saturday so it won't interfere with her school-work. He reluctantly agrees that she can do this one, but no more after. Josh and Todd are being very frosty towards each other. Jim tells them off. 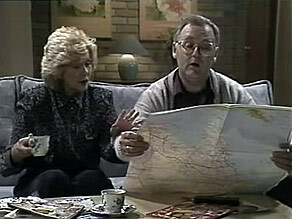 Lucy asks where Glen is - apparently he's gone to see a marriage celebrant with Karen. LUCY:(angrily) She is ruining his life! Jim rolls his eyes and says everyone is bickering today. Madge has heard from Gemma that she's settling in to her new home. Toby comes over on his skateboard and warns Harold not to push himself on his walk. 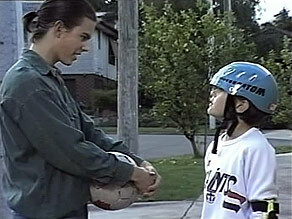 Todd follows Toby down the road and asks him to kick a few footballs so he can practise his goal-keeping. Lucy is modelling in various locations around Lassiter's and in various different outfits. The photographer says she's quite hot, and gives her the number of a friend of his at the agency - he thinks Lucy is exactly what he's looking for. Lucy is delighted and starts telling phone of all the things she'll do with the money like buy a Porsche and a cell-phone! Emma comes round and has another go at Josh. They have a chat and Josh realises that Emma still likes Todd - but he's not over Cody. Josh asks her out instead but Emma is disgusted and calls him a selfish creep. Madge and Harold have asked Paul round to discuss getting a manager for the Coffee Shop. Paul says the lease prohibits sub-letting, but agrees to try to pull some strings - and he wants final say on who the manager is to be. Lucy rushes in and enthuses to Jim about the modelling. Jim says that Year 12 is more important and she's not to model again. Lucy yells at him that she'll do what she likes. JIM: No! The subject is closed! Toby is fed up of kicking footballs. Just then, Josh comes up and tell Todd off for deleting some files off his computer. Todd denies it. While they're arguing, Toby and Bouncer take off! After a few minute, Josh and Todd realise they're not alone - there's a fierce dog. They run off and the dog chases them. Finally they run up a children's slide to safety. The dog barks below. Lucy is ranting to Paul about Jim's attitude to the modelling. Paul tells her that Jim will come round - like the time Paul left Uni to become a flight attendant. Lucy reckons that Paul is rich and successful now, so she should do her own thing too. Paul advises her to think very seriously before going against Jim. Lucy says she wants to model and dials the number for the agency. Todd and Josh are still stuck up the slide. They use the time to settle their differences and make up. 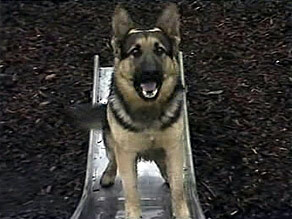 Eventually the dog disappears so they slide down the slide. But the dog returns and chases them across the park! Jim has come to pick up Helen's wedding photos. They tell him about their plans to go round Australia indefinitely. They're going to rent the house and get a manager for the Coffee Shop. Jim is quite jealous(!) given his problems at home! Jim is looking through Helen's wedding photos when Josh and Todd come in. Jim is pleased to see that they're made up. He answers a phone call for Lucy from the agency. He tells the agency that Lucy won't be working for them. 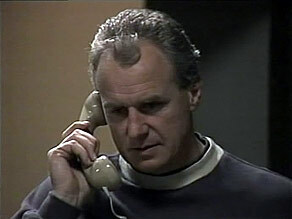 He goes off to sort out both Lucy and Paul.